Input Level at max, 0dBu 1kHz tone. 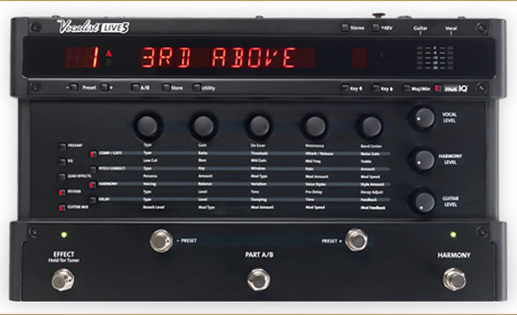 The Vocalist® Live 5 can use either a standard passive guitar volume pedal or a resistance-based expression pedal. If using a standard guitar volume pedal, it should use a 250 kOhms or higher pot. If using an expression pedal, it must offer a TRS connection and offer a minimum resistance of 10kOhms. ©2009-2010, All Rights Reserved, Harman International Industries Inc.